There were children in Gettysburg. No, that really shouldn’t be a newsflash, especially remembering we’re discussing 19th century America when large families were the norm. But what about these children? What did they do during the battle? Did they get exemption from hospital work because of their age? Now, before you get any ideas that parents were insensitive to their children, let’s get rid of that idea. During the battle, many families stayed together, hiding in cellars or other secure places. In the aftermath, parents tried to shield their children from the hospital horrors, but as you will see this was not always possible. 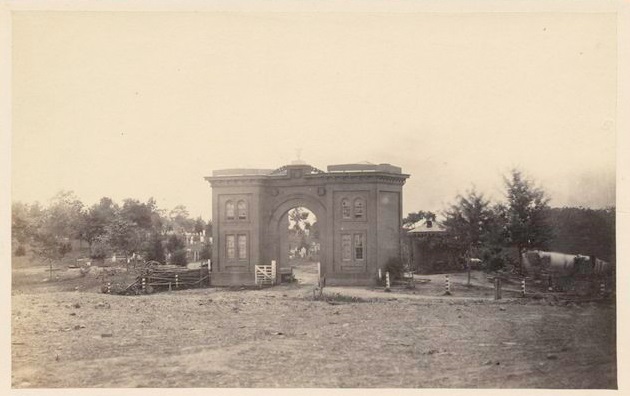 This is the Cemetery Gatehouse, where the Thorn family lived. “There came a screech and a shell brushed my skirt as it went by. I staggered from the concussion of it and almost fell when I was grasped by the arm and a man said pleasantly, ‘That was a close call. Come with me, and hurry,’ he added in a tone so commanding that I meekly followed. Sadie Bushman was forced to assist at a field hospital. 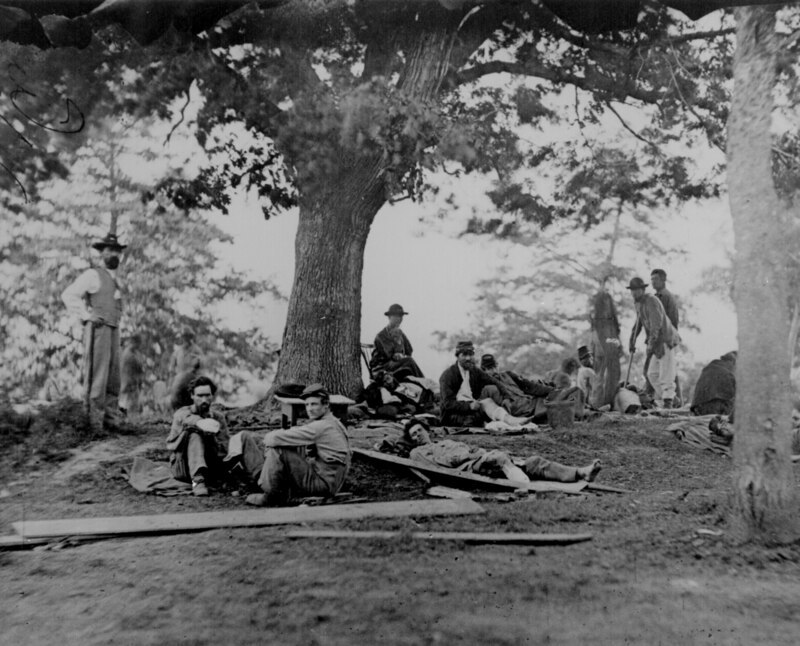 (Note: this photo is not from Gettysburg Battlefield, but it shows wounded men waiting for assistance. “That man was Dr. Benjamin F. Lyford, a surgeon in the Union army. He led me to a place in a little valley where he had established an army corps hospital and then he put me to work. Wounded and dying men were then being carred to the place by the score. I was ready to faint at the sight, but the doctor, in his commanding way, gave me more fear of him than I had for the sight of the mangled and dying men about me, and I tremblingly obeyed him. These are just a few of the accounts of children and their role during the Battle and Aftermath of Gettysburg. Through my studies of these children’s experiences, I found some very young heroes. The innocence of the children is juxtaposed against the harshness of the battle world. Children faced the same fears during the fighting as their parents, and they were probably more frightened because they had only a limited idea of what was really happening. I think one of the most significant roles that children of all ages performed at Gettysburg was comforter. Whether the children realized it or not, their presence reminded the soldiers of their own families, giving these fighting men courage for the battlefield or strength to fight for life in a field hospital. That is a very significant and important role. 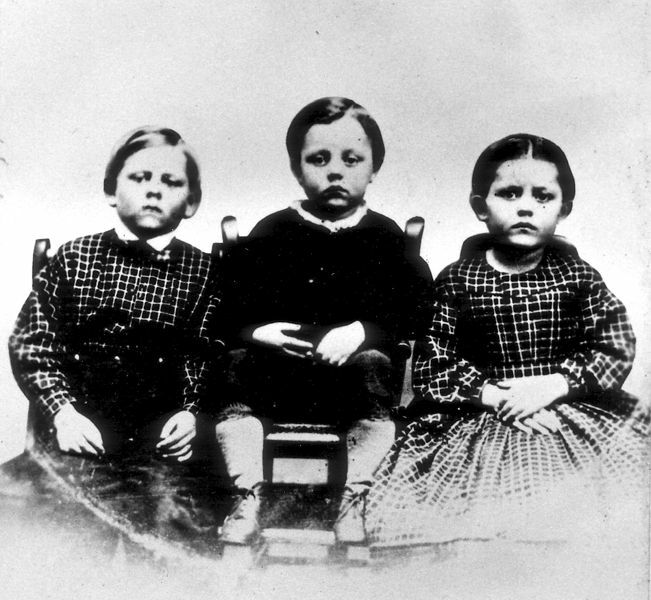 Thus, in conclusion, the children of Gettysburg were forced into a nightmarish situation. They faced desperate situations. They worked alongside their parents or on their own to alleviate suffering whether it was by carrying water, bandaging wounds, cooking, or simply being children…and reminding homesick soldiers there were still many reasons to fight and live. P.S. I feel like I’ve only touched the surface of this topic today…there is so much these brave battlefield children accomplished. What was most surprising to you? Check out my new historical fiction novel to learn more.